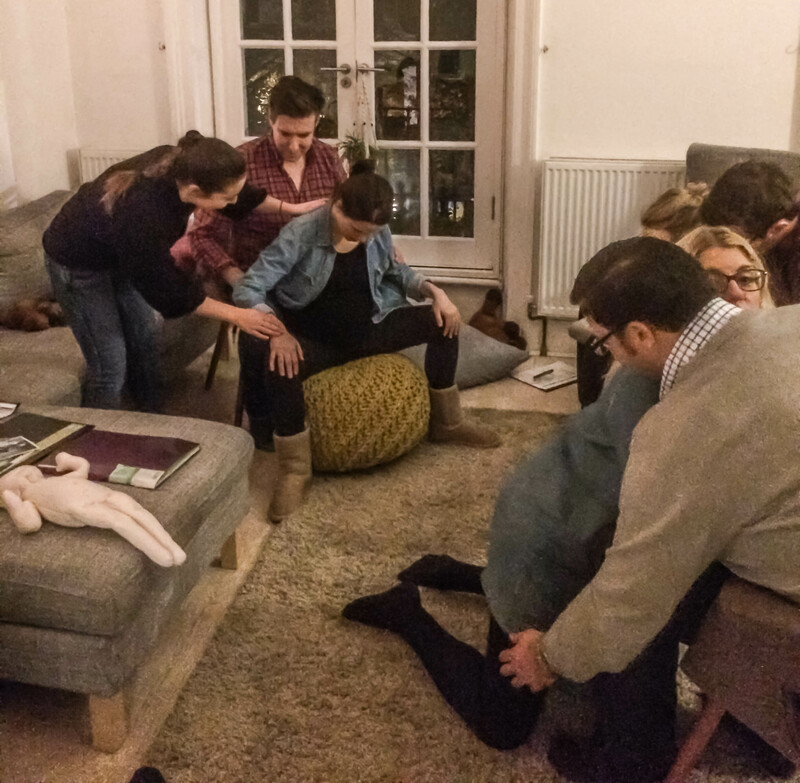 The birth session covers many useful techniques which are invaluable for labour and birth including breathing techniques and movements and what you can do to help your body from the moment your labour starts all the way to birth. By all means attend your hospital session …but the Yogababies Birth sessions are an addition giving information on breathing and positioning and lots of practical tips for the birth partners too. I will teach you about water birth, teach you many birth positions, but will also cover epidurals, caesareans, and inductions and what you and your birth partner can do to help your body and your baby during these procedures. This session is aimed not only for pregnant women but most importantly their birthing partners. Each woman can bring up to 2 partners (friends, a family member or a partner). Your birthing partner can play a very important role in your labour if they wish to. These sessions last between 4 and 5 hours and are shared with one or two other “birthing couples”. A hand-out is given to each couple with all the points which can be used during your birth by you both. Thank you very very much for yesterdays course. has ideas about how to help. I would like to thank you for teaching me all the breathing techniques and moves to help me cope during labour, those were great tools to calm me down and helped me stay focused, I really felt joining your classes made a difference during my pregnancy. Not only did it help to keep my body adapt but also cleared my mind so thanks a lot! By the way the sling you sold was a god send really very useful. Use it to breast feed, going out and settle him as it leaves my hands free and I can get on to do jobs at home at the same time.